This spring I’m on the road working with three association clients holding fundraising auctions at their annual conference. Two associations are comprised of individual members (one in the insurance industry; the other in disaster recovery). The third client is an association for hospice organizations to join. Conference auctions are a different breed. They certainly aren’t similar to school auctions, and they really aren’t like standard nonprofit auctions, either. Let’s dive deeper into them today. 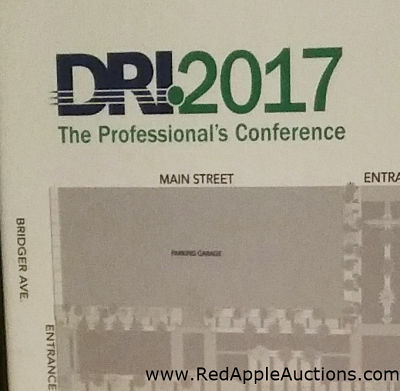 Recognize that an association running an auction at their annual conference immediately faces challenges. First, conference auction planners rarely have the luxury of familiarity with a venue or vendors. Many associations move the conference each year to attract local members in the new location. It might move to a new hotel across town or across the world. An auction planner can find herself spending more time than most sourcing new vendors and educating them on what she needs to make an auction successful. Second, the guest count may vary wildly each year. Conference attendance influences gala attendance — and locations matter. Cities advertise in trade magazines to promote their desirability as a conference location, suggesting better attendance will result. Case in point: Orlando, FL advertises that its family-friendly atmosphere with grow your registration list. Las Vegas, NV takes the approach that its nightlife and chef-branded restaurants will do the same. And there’s this issue of ticket sales influencing attendance. Associations may or may not sell tickets to their conference auction. The gala auction I’m leading tonight in Tennessee was included in the cost of the conference registration. Another association charges $125 to attend its gala auction; it’s an added line-item expense for attendees. If you aren’t charging to attend, it’s harder to estimate your guest count for meals, auction items, raffle prizes, etc. Third, there’s the challenge of what to procure to appeal to guests. Are most conference attendees driving or flying to attend? If items fail to fly on planes, guests avoid the auction game. Are most conference attendees male or female? Attending the gala alone, or with a spouse / significant other? Who are these people? Knowing who they are dictates what to procure. Are most attendees executives? Managers? Line workers? What kind of disposable income do they have? Given the breadth of associations and their conferences, it’s impossible to cover all situations, but here are some ideas on what you might consider when procuring. Gifts for spouses not attending. What can your attendee take home as a gift for his/her spouse or significant other? At one conference auction, we offered the high bidder a choice of either a man’s or woman’s Shinola watch. Valentine’s Day, Father’s Day, Mother’s Day, and Christmas. Tied to the theme above is the concept of a holiday. At tonight’s auction, one item is an inexpensive ($125) Tiffany & Co. bracelet. Most attendees are male. We figure that at least one of them has forgotten that the day they fly home is Valentine’s Day. Selling a last minute Valentine’s Day gift makes sense. Alcohol. If legal, selling wine or other spirits isn’t a bad idea, especially if your auction is not held on the last night of the conference. They don’t pack it to go home, but you’d be surprised at how much alcohol is consumed at conferences. … or maybe you wouldn’t be. Vacations. Trips sell, though they rarely garner the same price points I see at traditional nonprofit auctions. For any trip, it’s important to advertise these in advance so attendees can share them with spouses to discuss future travel plans. Industry-specific needs. One association client solicited dozens of industry-specific items from their members. Selling a crane rental or cross-country truck back haul rate sells well in an industry that uses that sort of thing. Talk to the vendors that support your industry and see what they’ll donate. 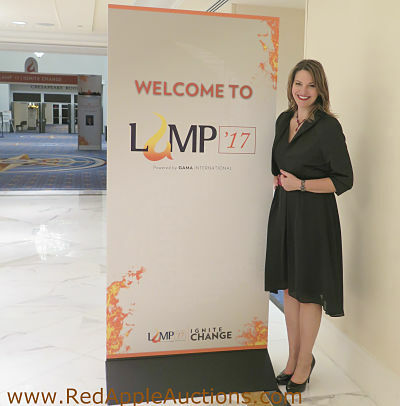 My insurance client secures donations from speakers and trainers who make their living selling to the insurance industry. A package to next year’s conference. Where’s your next conference? Pull together a package geared towards your next location. It might include the conference fee, hotel, a couple restaurant gift cards and fun activities to do in the host city. Lifetime membership. Sell a “lifetime membership” to your association. For auction planners heading to Orlando, let’s assume that at least some attendees will bring their families and stay to enjoy the city. Auction packages might include a scattering of family-friendly options for participants vacationing in the days following the conference. Gift cards or tickets to Medieval Times, LEGOLAND, any of the theme parks or other family-friendly attractions would be targets. For Las Vegas conferences, tickets to show, an exhibit, a zip line experience over Fremont Street , or even a helicopter ride over Hoover Dam could be offerings at your auction. Work to procure short, local experiences that an attendee can use over a lunch break or before dinner plans that night. Because of tax laws and the way American society was created, donating to a cause via a fundraising auction — even overpaying for an item — is more accepted by Americans. To international participants, this concept is bewildering. In the United States, nonprofits provide services (and must raise money) for their activities. But in other countries, many of these services are provided by the government. This can lead to confusion among your attendees who can’t figure out why you need money for this activity. If you’re working for an association and running a conference auction, what’s working for you? Share your best ideas below. I bet you have some ideas that would work for others planning similar events to yourself. Best time to close the silent auction? Before the live auction begins.